Nail Surgery is a Plastic Surgery procedure for the ingrown toenail. The ingrown toenail is an often painful condition in which the nail penetrates the flesh, so that it cuts into one or both sides of the paronychium. While ingrown nails can occur in the nails of both the hands and the feet, they occur most commonly with the toenails. If this condition is not treated, the patient perishes for a long time and frequent relapses may transpire. There may appear acute inflammation combined with pain, redness, swelling, pus and stench in the affected nail area. What happens in the case of an ingrown toenail? In order to understand the nature of the ingrown toenail of the big toe, it is good to know some things about the nail anatomy. the Nail Matrix. The matrix is responsible for producing cells that become the nail plate. the Bed Nail , which is the layer right beneath the nail plate, which moves toward the fingertip with the plate. 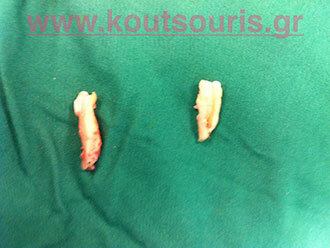 The growth direction of the new nail is oblique, which results in a nail buried inside the toe flesh. Ingrown toenail is an inflammation caused by an anatomical problem of the nail matrix, combined with the soft molecules of the paronychium. How can the ingrown toenail be treated? The surgical treatment of the ingrown toenail is the solution to the problem. Since the cause of the ingrown toenail is located at the base of the nail and particularly in the hypertrophic point (excess part) of the nail matrix, the treatment SHOULD NOT BE THE REMOVAL OF THE ENTIRE NAIL, but only its faulty part. This treatment is called NAIL SURGERY. What exactly is the Nail Surgery? Nail Surgery is considered to be a Plastic Surgery treatment for the ingrown toenail. As mentioned above, the problem is the hypertrophic or misshapen nail matrix that penetrates the skin and the soft molecules of the area. This problem can be solved by removing the faulty part of the nail – not the entire nail. What kind of anesthesia is administered during nail surgery? Nail surgery is performed under local anesthesia and it is generally considered to be a painless treatment. Since the sensory innervation of the fingers is performed through a finger nerve on the lateral side each finger, the anesthetic is injected only at the finger base in accordance with the ingrown toenail area, so as to avoid the pain. How is the nail surgery performed? The nail surgery lasts 15 to 20 minutes approximately and is considered to be a routine Plastic Surgery treatment. After the area of surgery is fully paralyzed, we perform a slight tangential incision on the treated nail and skin area, carefully avoiding the cause of the problem, which is the hypertrophic angle of the nail matrix at the base of the finger. This way, the ingrown toenail is permanently treated, since future growth of this nail part is prevented. After the removal of the nail matrix part, the finger is tied with an elastic bandage. What should I do after nail surgery? When the patient goes back to home, he/she should usually put the leg in straight or prone position for 24 hours. The postoperative pain is minimal to moderate and is treated with simple painkillers. The elastic bandage is removed after 48 hours, while walking is allowed after 2 or 3 days. The area is completely healed in 2-3 weeks and there are no implications if right surgical technique has been applied and patients avoid tight shoes and wrong cutting of nails. When the problem is treated fixing its cause, then the nail surgery is a complete treatment and permanent solution to this problem.